Proactive and strategic should be your key words when it comes to holiday planning. Why? Because you don’t want to be that person who’s stressed to the max and frustrated by unforeseen issues or unplanned emergencies during a time that’s meant to be joyful and full of light. 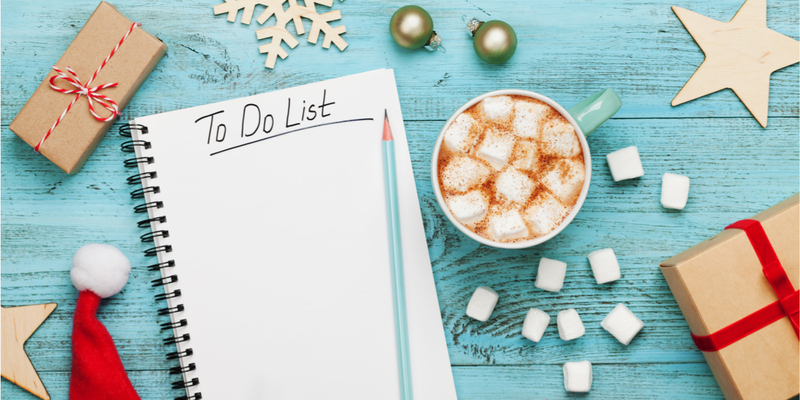 Use this simple holiday planning timeline to conquer any and all tasks before the season’s start so you can enjoy this festive and celebratory season to its full extent. October is all about brainstorming. This important stage encompasses ideation for much of what will pass throughout the holidays. Gather together a group of your most creative employees and start determining how your holiday will proceed. In keeping your holiday season as stress-free as possible, you should ideally have finalized information and secured all necessary resources for all of the above by the end of October. Time to put your plans in action! In November you should be realizing all of your above planning. Have your teams personalize those holiday cards. Send e-vites to the party with all necessary details and an RSVP function to get a head count for caterers and other vendors. Arrange help from willing employees to help set the mood and decorate for the party. All those final little details should be falling into place, with the goal to have all your planning complete by late November. Here’s the fun part: now that you’ve put your plan into action successfully, you are free to enjoy the festivities! Planning can be tedious, but in the end the season is made much less daunting when you have all your tasks and planning laid out several months in advance. Start planning early to enjoy the most wonderful time of the year with the least amount of stress.